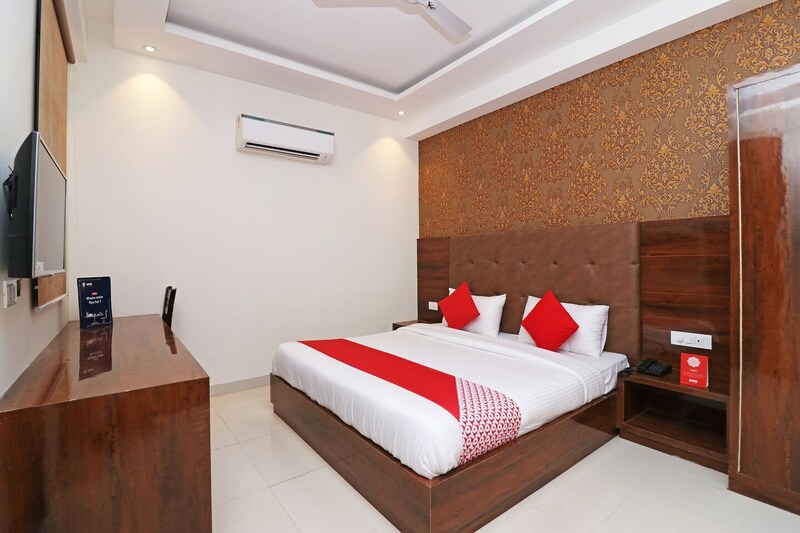 Located in Mahipalpur, Hotel Grd Suites is hardly 8 min drive from Indira Gandhi International Airport. It is near the Delhi-Jaipur Expressway and is accessible via a 20 min drive from the Bus Stand at Munirka Marg. The hotel is quite close to the Ambience Mall which is popular shopping destination in Delhi NCR. The hotel has a banquet hall, in-house Restaurant and comfortable seating area all colour coordinated in earthy shades. All rooms are well equipped with TV, AC, geyser, seating area, wardrobe, study desk and an attached bathroom. The historical Sultan Garhi`s Tomb is a 15 min drive away from the hotel.